These words were the first thing I saw when I reached the restaurant. They were painted on the door curtain and made me laughed as this is the first time to see this for a Japanese restaurant. And when we stepped in, the place was so noisy and seated with few groups of customers despite the fact that it was only 30 minutes past their dinner service time. Contrary to the name, this place does not serve only fish. 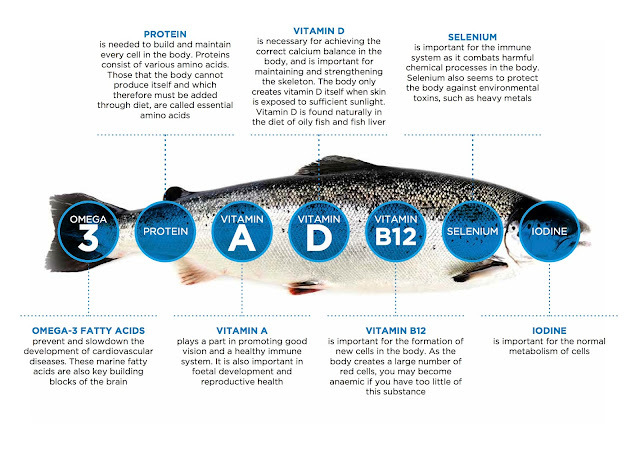 Do you know that salmon, a saltwater fish raised in cold, pristine waters of Norway, is safe to be eaten RAW? With the recent ban on the consumption of raw freshwater fish in Singapore, some consumers might choose to stay away from the traditional Chinese New Year Lo Hei, which usually features salmon-the symbol of abundance. However, the fact is that Norwegian Salmon from retailers and food outlets that uphold high quality standards in preparation and cleanliness, is perfectly safe to be eaten raw. 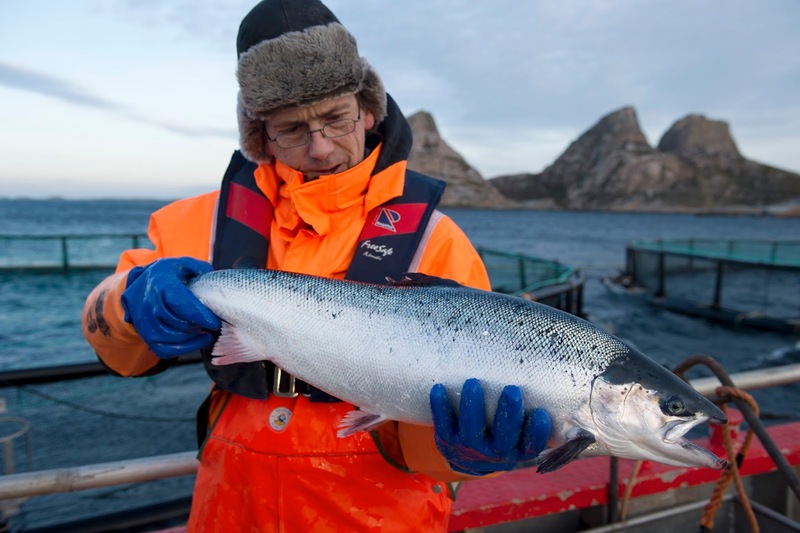 Numerous inspections and analysis are conducted by the Norwegian Food Safety Authority and the National Institute of Nutrition and Seafood Research (NIFES) each year. Since 2003, an extensive monitoring program has been carried out by NIFES in accordance with European Union legislation (Directive 96/23/EC), which requires national authorities to monitor the presence of undesirable substances in raw materials and food derived from animals. Norwegian Salmon is transported in correct temperatures and stored in boxes that have been specially designed to keep the product cold all the way to its destinations, one of which is Singapore. In fact, more than 90% of the fresh salmon available in Singapore is imported from Norway and flown in within 48 hours from harvest. Hence, freshness and food safety is always preserved. Thanks to a long coastline of fjords surrounded by cold Arctic waters that consist of the right currents and temperatures, Norway is the ideal nation for farming salmon. Producing more than 65% of the world’s Atlantic salmon that is raised in pristine, cold, clear waters, Norway is responsible for serving up more than 14 million Norwegian Salmon meals everyday worldwide. 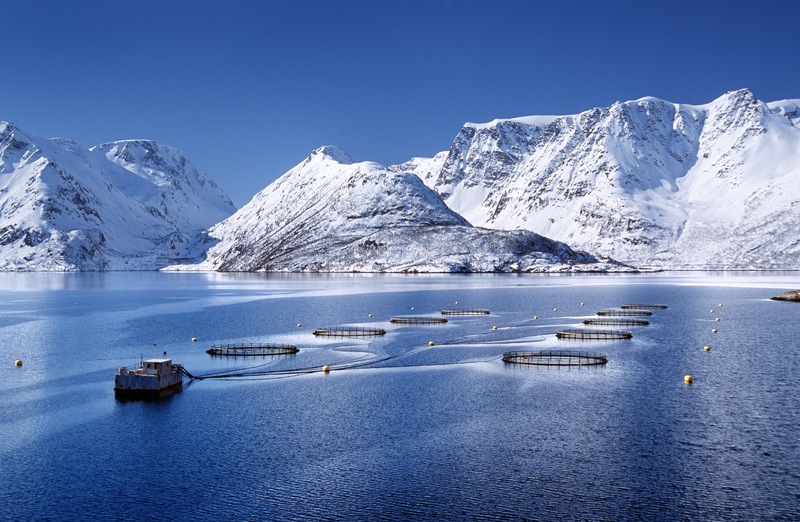 Norwegian fish farms adhere to regulations that imposes the world’s strictest control systems and advanced environmental measures to ensure responsible fish farming is practiced. Under the careful handling of their skillful chefs, fresh salmon sashimi can still be found on many buffet tables and Japanese restaurants. One of the top-chain Chinese dining brands, TungLok, has always been using safe and fresh Norwegian Salmon in the yu sheng served to their guests in restaurants. 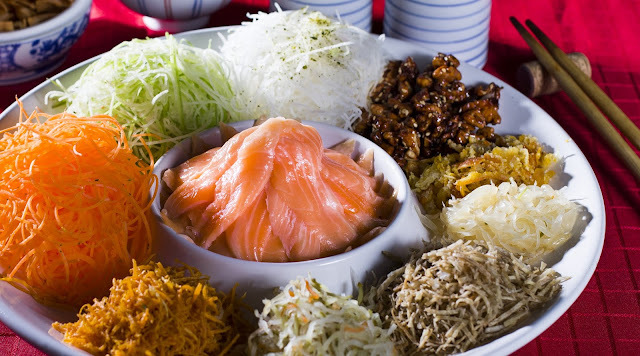 For their takeaway yusheng packs, the TungLok team has specially taken extra steps to prepare Smoked Norwegion Salmon so that consumers can continue to enjoy and toss their Lo Hei with a peace of mind!
" More than 90% of the fresh salmon available in Singapore is imported from Norway and flown in after 48 hours from harvest." Is this TRUE or FALSE? Winners will be notified directly within 24 hours of closing. It's a cheesecake like no other. I'm not exaggerating. Tokyo has bananas. Hokkaido has that the white lovers. Osaka has.....??? Barely established for less than 2 years, Pablo has gained a cult following for their cheesecakes from Kansai to Kanto. If you have been following my Instagram or Facebook, you would have seen posts of the buttery cheese langue de chats which I got from the Tokyo station and Shinjuku outlets. But Pablo is not any Tokyo brand. 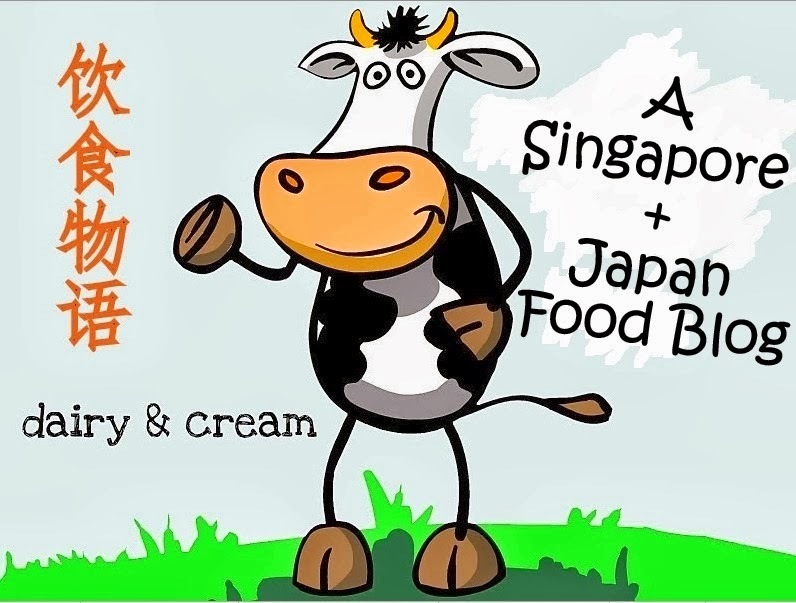 It originates from Osaka as a takeaway cheesecake shop which has attracted long queues for its signature "Rare/Medium" cheesecake. Recently, Pablo have even packaged its products as Osaka souvenirs targeting at travelers. 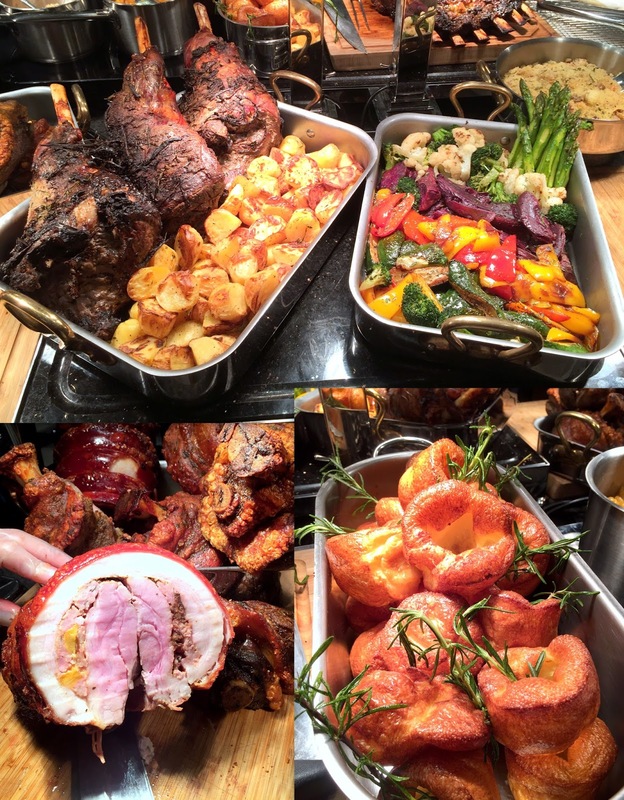 Brunch is a decidedly indulgent affair and what better way to indulge than with J65's Sunday buffet brunch, replete with an endless supply of food, live music performance and free flow champagne? Situated within the rebranded Hotel Jen Tanglin, J65—a name that was inspired by Singapore's international dialling code—offers all-day dining and embraces a modern chic Southeast Asian market concept, cleverly using an eclectic mix of day-to-day ingredients such as canned foods, cereal boxes and bottled sauces to create a familiar yet intimate setting. While the venue offers deli-style weekday lunch buffets and seafood-themed dinner buffets from Thursday to Saturday, the Sunday Champagne Brunch is undoubtedly the highlight as it offers a comprehensive selection of Asian and Western cuisine, with a LIVE music performance to set the tone for the meal. Here are some of the more note-worthy foods that you should definitely create space for! There are some places which I wish should be kept a secret forever and this is another one. In central Tokyo that is dotted with commercial buildings, it is difficult to find a place where nature, aesthetics and tradition converges. And here comes Kosoan, the missing piece that will complete this puzzle. Located in the quiet residential area Jiyugaoka, Kosoan is a tea house within an old Japanese house. There is no English signboard to indicate its presence, merely a wooden signboard carved with the Japanese Kanji name. Visitors are led by a series of stone steps through the tiny garden into the house. Warm yellow lightings, precious woods, carefully crafted paper screens and tatami mats, the intimate space overlooks the garden which is especially charming during my visit as it was wet and drizzling. Stepping off a bustling city street into the calm of a Japanese tea house, it is easy for me to feel the draw of this place. Yet it is none of those strict regimented tea house where you have to sit with a kimono-clad obasan who will brew the tea in front of you. It is a relaxing place to gaze wistfully into the surroundings, with a hot brew of matcha or houjicha latte. Each set comes with a mini sweet. For some light desserts, there is also the traditional anmitsu or zenzai but that's about it on the single-side bilingual A4 size menu. Sip on the drink and enjoy the moment of peace in this warm, cosy space. Just hope that you won't run into any rowdy tourists that speak boorishly and spoil the mood. If you are a meat lover or if your loving half is a meat lover and you are willing to accommodate that love for meats, then both of you will have a great time this Valentine's Day at the Carvery. This all-new buffet restaurant which has only opened in Nov will be presenting a finely-curated Valentine's Day semi-buffet dinner with free flow of quality roasts, salads and desserts. Besides Fauchon, Le Clair De Genie is probably the only famous eclair brand in Japan as I haven't heard of any good Japanese patisserie that sells only eclairs except Creme de la Creme which covers both eclairs and Choux puffs. This is part of the Lunar New Year reunion dishes by Chef Leong Chee Yeng and his culinary team that is available till 22 February. While hearty dishes such as Pen Cai is also available, why not invest your calories in the pot of nutritious Braised Six-head abalone soup ($58++/pax) so that you can not only indulge in more dishes but also revitalize your skin for glowing complexion? Unlike classic Cantonese soups, this boasts a unctuously creamy mouthfeel that is testimonial to long hours of brewing all the premium ingredients including sea cucumber, fish maw and ROASTED PORK! And so on a Friday eve, we got invited to KUVO’s new menu and concept launch. In case of you haven’t heard of them, KUVO Singapore is an original lifestyle concept restaurant/bar/lounge by TCC, conveniently located next to Somerset 313, at level 2 of Orchard Shopping Centre. Yet it is probably one of the fewer places in Orchard that allows one to break out of the city's hustle and bustle. Derived from a French word “cuvee”, which means “blend”, KUVO combines a range of elements with its menu and ambience, offering a multifaceted dining and social experience all under one roof. We were all welcomed with a glass of KUVO’s exclusive champagne-method sparkling wine Antica Fratta Brut ($17 a glass, $98 a bottle), before diving into some bite-sized bliss. A pretty good start to the evening with the new key tapas highlights: Brandy Flambeed Beef Cube ($22) – skipped this as I am not a beef-eater; Grilled Octopus ($16) sous-vide thinly sliced octopus leg with slow-cooked potato and smoked paprika – Tender and flavorful; Calamari Ajillo ($16) – Another ‘sotong’ dish sautéed in olive oil and garlic with pork chorizo, but the squid unfortunately was a tad tough and failed to absorb the flavor from these ingredients. Thankfully the Altantic Cod Meuniere ($20) –Sweet pea-encrusted Cod Medallion on a bed of potato gratin with Pearl Barley fricasse and citrus nutty-brown butter was quite a mouth-watering fish dish with great flavor combination. If you think you know your green tea or Japanese tea very well, wait till you visit Cha-Chanoma and meet the master here. Opened in 2005 in the hidden back street of Omotesando district, Cha Cha No Ma is helmed by professional tea barista Yoshi Watada, who looks like any other salaryman except that he holds a tea pot instead of a suitcase. At this tiny cafe, Japanese tea forms the body and the soul with a display rack which stocked up with all sorts of tea leaves and equipment for retail. My mouth was opened in wide agape as I stared at the menu. The lobsters and crab dishes were priced at $88.80 and even any ala carte fish would have incur a damage around $50. It wasn't that the food was overpriced since I haven't had the taste of the food yet. But as working adults who need to scrimp and save, a full Thai feast fit for the Thai Royal King does require some serious investment. Even the Entertainer App that limits to the seafood and meats does not help much. Nonetheless, my dinner here with the girlfriends turned out great if not amazing, even without any of crabs, lobsters or fishes which I would love to indulge. We ordered almost everything from the menu. 油菜 (Vegetables in oyster sauce), braised peanuts, 罗汉斋 (Mixed vegetables), Hua Tiao Wine Chicken, Salted fish pattie and not to forget the main star, Pig Organ Soup. It's those kind of soup that taste especially comforting on rainy days. Filled with pig stomach, pig liver, tofu, meat balls, the broth is clear, not too greasy but with that delightful sourish tang from the salted mustard. The soup is so tasty that I can't help but keep pouring spoonfuls into my rice. Available in either $4/$6, every bowl of pig organ soup alone would more than suffice a meal as the broth can be refilled for free. Black-face Dad was sweet enough to add on a bowl of Black Vinegar Pig Braised Trotters towards the end of the meal since it's Pretty Mum's favourite dish, though at the expense of everyone's near-full stomach capacity as it turned out to be the dish with the largest portion. The gravy was pretty appetizing, which could pass off easily for those who seldom have BV Pig Trotters but it still some miles away from the more robust and gingery version from my grandma, as asserted by Pretty Mum who found it watery. Housed within the Gion Hanami-koji district is a chocolate specialty shop opened by Malebranche, the famous Kyoto matcha sweets shop that is known for its matcha langue de chats. One can easily walked pass without realizing the shop as it looks just like any other traditional old house. If you have been following closely to the Kyoto posts, you would have known that Malebranche has several outlets each with a different concept and exclusive items. 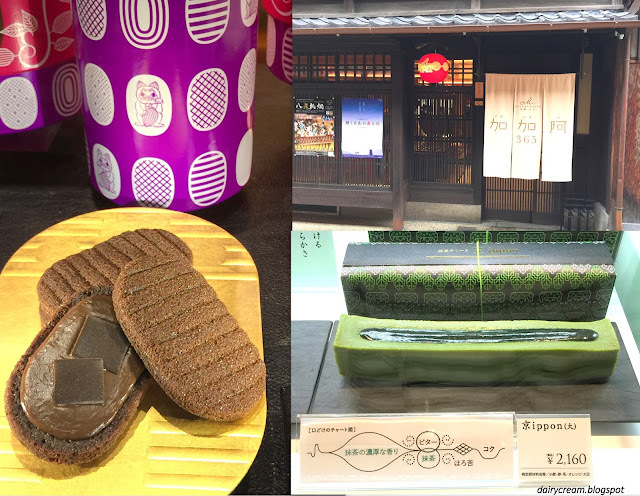 For instance, the Arashiyama outlet has a unique matcha cream eclair Cha Cha Bou while the Kitayama main outlet is a dangerous place to go because there are too many temptations. 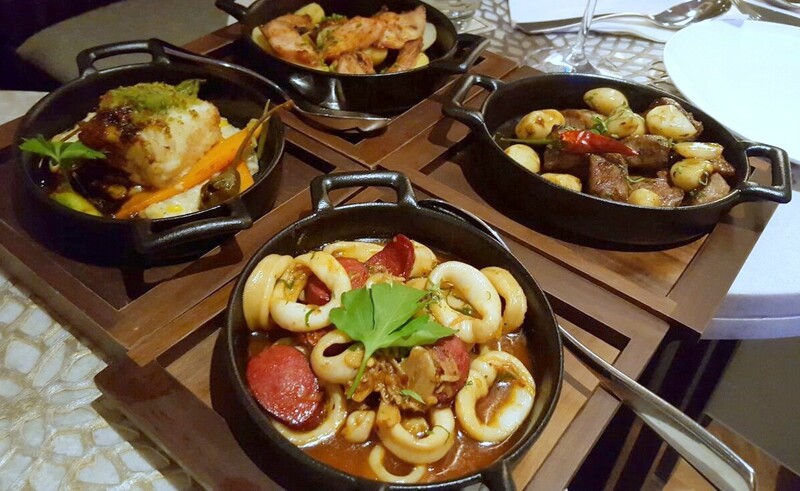 There's little bit of Peranakan, French and some Thai or even Japanese flavors going on at P Bistro, which makes it difficult to truly nail it down to any particular cuisine. Yet one should not dismiss this as just another bistro as this place is backed by solid cooking from a Le-Cordon-Bleu-Paris trained head chef who whizzed competently between the savoury and sweet boundaries.